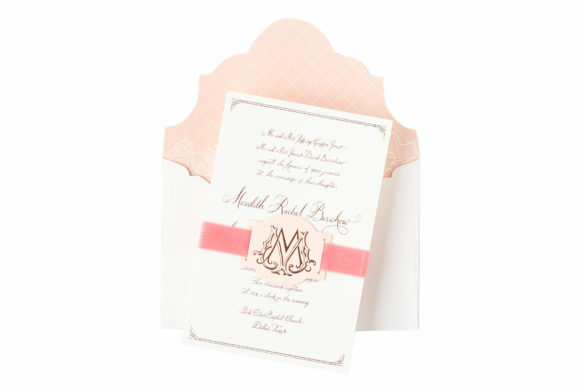 Color Box Design & Letterpress Rose gold foil on thick cotton paper with a pink velvet belly band and calligraphy by Tara Jones. 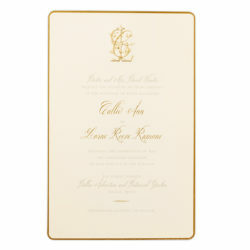 5 by 7 Designs Black letterpress plank-thick invitation with gold metallic bevel edging. Stamped Paper Co. Gold letterpress on textured paper with vellum wrap, silk ribbon, and a custom wax seal. 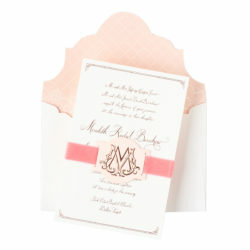 Paper Affair Custom hand-drawn monogram and design with engraving by The Print Shoppe and calligraphy by Laurie Harper. 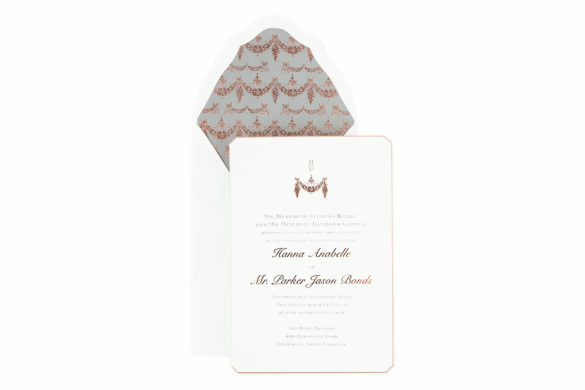 Color Box Design & Letterpress Deckle edge paper with brown letterpress ink with lace paper wrap and textured envelope liner with calligraphy by Laurie Harper and lace and textured paper from Paper Arts. 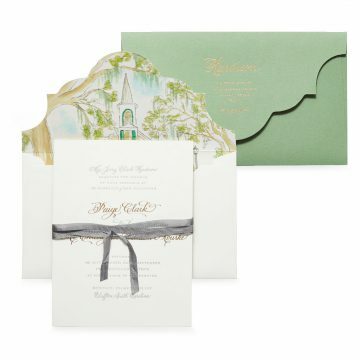 Stamped Paper Co. Emerald letterpress with copper foil stamping and calligraphy by Tara Jones. 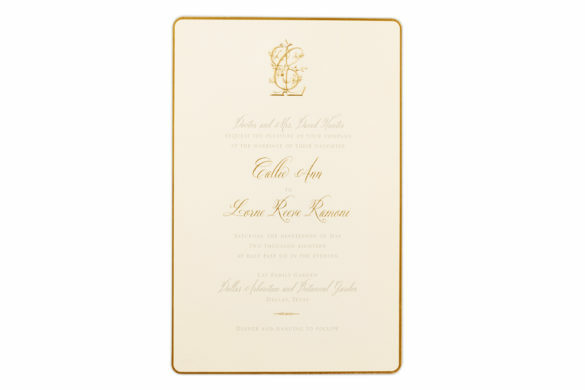 Southern Fried Paper Letterpress invitation with a custom gold embossed monogram. 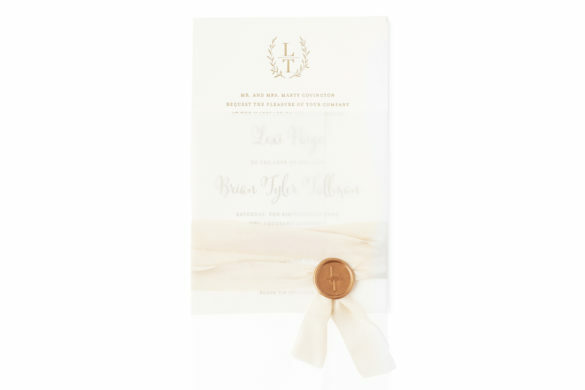 Bell’Invito Garland monogram foil stamped in rose gold ink on 2-ply cotton paper with rose gold beveled edge and signature tipped corners with custom foil stamped book cloth envelope liner. 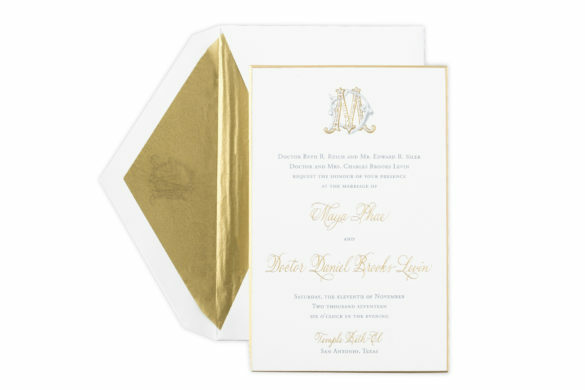 As we all know, classic reigns supreme. 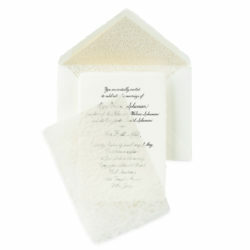 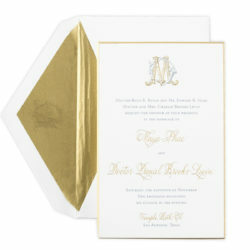 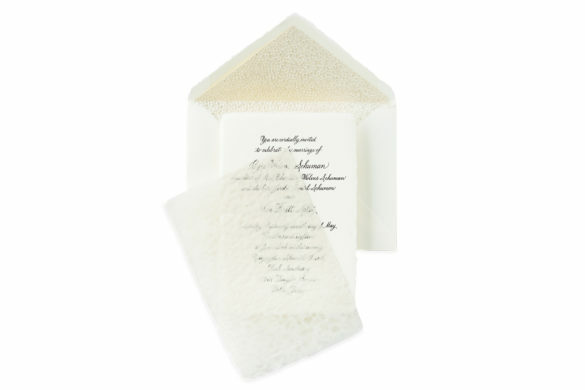 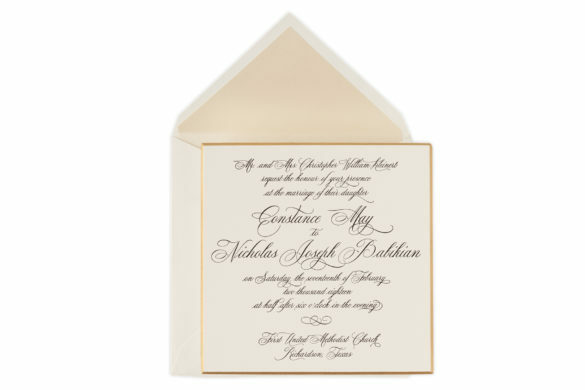 Add a touch of nobility to your invitation suite with a custom crest, gold foil, or a wax seal.